Fun and Delicious Items Every Month! Get amazing Japanese snacks, no subscription required! How Does J-List Box Work? 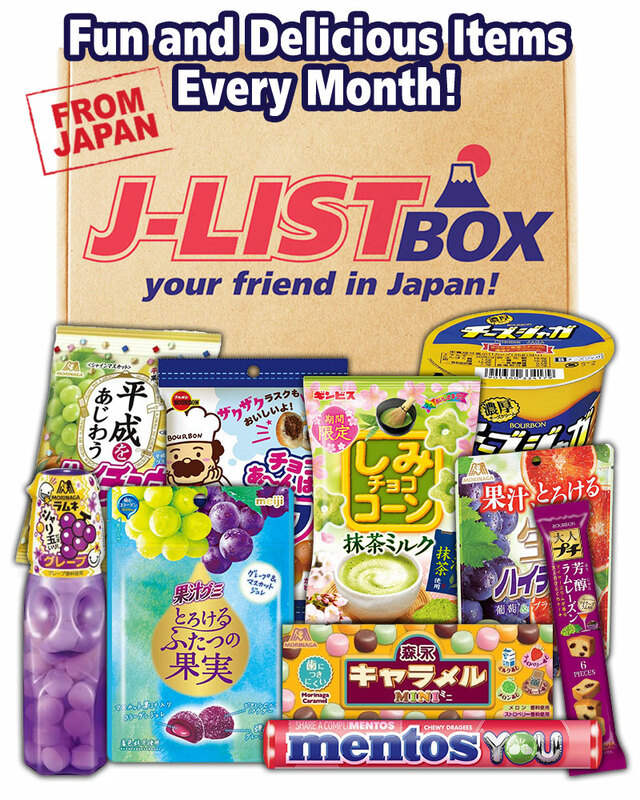 Every month we select the newest and best Japanese items to ship to you. Orders open two to three weeks before shipping, but due to the limited nature of these boxes, popular ones may sell out early. All our products are authentic and licensed, coming to you straight from Japan. We never sell knockoff or counterfit brands. Ordering your J-List Box is quick and easy. We won't force you into any long-term commitment. Buy what you want, when you want it. J-List has been your "friend in Japan," since 1996. We've served over a million customers during that time, and continue to bring the crazy and amazing items of Japan to our fans around the world. 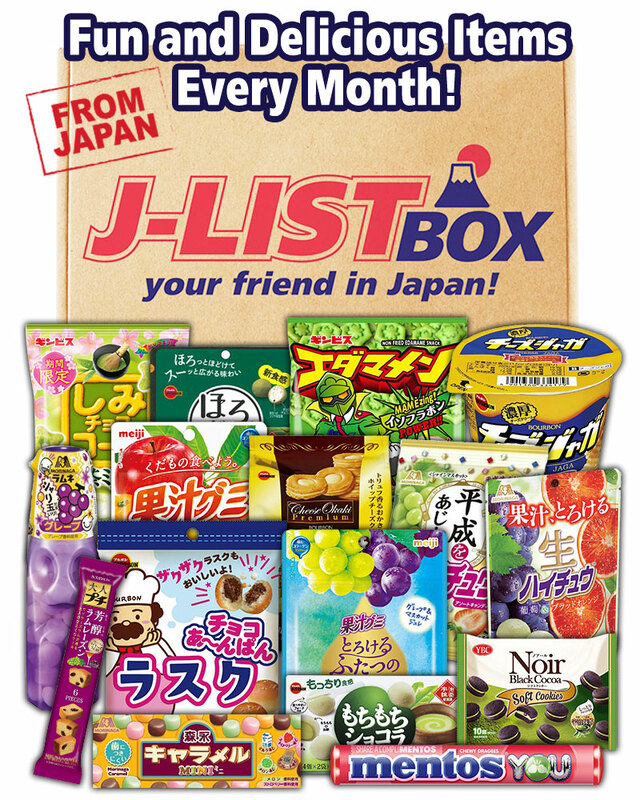 Share with the world your J-List Box pictures or videos with the hashtag #jlistbox for a chance to win some great prizes! Be the first to know about each month's amazing boxes, plus special promotions and more!